‘We are in the very early innings of the digital transformation of business payments|! !|’ says Bottomline Technologies CEO Robert Eberle. Bottomline Technologies’ bottom line was negative in its first quarter, despite a strong surge in sales. 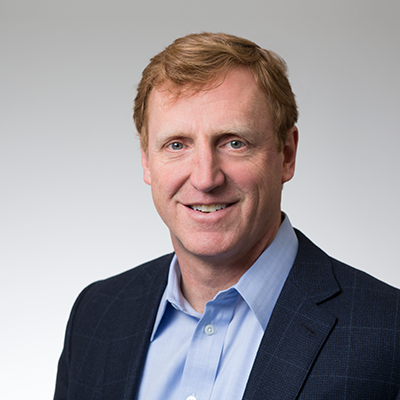 Even though revenues increased by 12 percent to $102.4 million for its first fiscal quarter (ending Sept. 30), the Portsmouth-based financial technology firm posted a net loss of $900,000, or 2 cents a share, according to its most recent filing. That’s better than the first quarter of the previous year, when the company lost $4.2 million. Bottomline likes to emphasize its “core” net income, which was $13.6 million, but that doesn’t count such things as $12.3 million in equity-based compensation, up by half from the first quarter last year. And last year, the top five executives doubled their compensation to roughly $14.5 million, primarily due to $11.5 million in equity, which was also doubled from the previous year, according to the company’s proxy, released in October. President and CEO Robert Eberle led the way with a $6.7 million compensation package, including $5.9 million in equality, each more than double what he made in fiscal 2017. Eberle, who called the quarter “a very good start to the fiscal year,” was enthusiastic about the company’s subscription and transactional growth – up 15 percent, to $69.8 million – which now accounts for over two-thirds of revenue. Much of that is based on the company’s cloud solutions, which now account for $49.6 million in revenue and contributed $10.3 million in profits. The key point is the opportunity to grow, said Eberle, in an earnings call transcribed by Seeking Alpha. “We are in the very early innings of the digital transformation of business payments. It's a huge opportunity. The U.S. B2B payment volume is estimated at over $20 trillion. Sixty-three percent of businesses still make 50 percent or more of their payments by paper check,” he said. He pointed to the company’s partnership with Visa, which is getting into this business in a big way in the U.S. and internationally. “Visa brings a lot more than the obvious brand. I mean, there is an organization with global payment capability and a global payment brand,” he said.